What a beautiful weekend it’s been, all blue skies and sunshine; absolutely perfect for the launch of a scrumptious new ale. 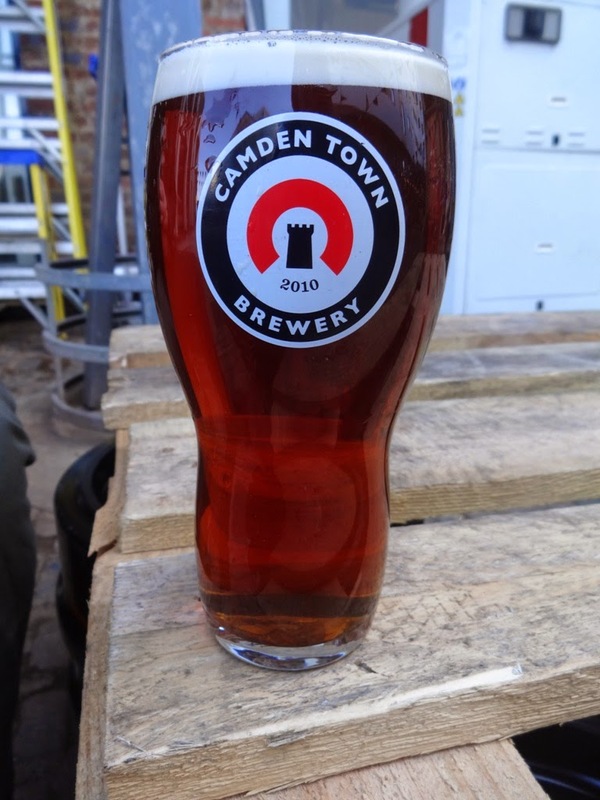 Camden Town Brewery and Adnams have come together to produce South Town Red Ale (4.9%), an unmistakeably English beverage. 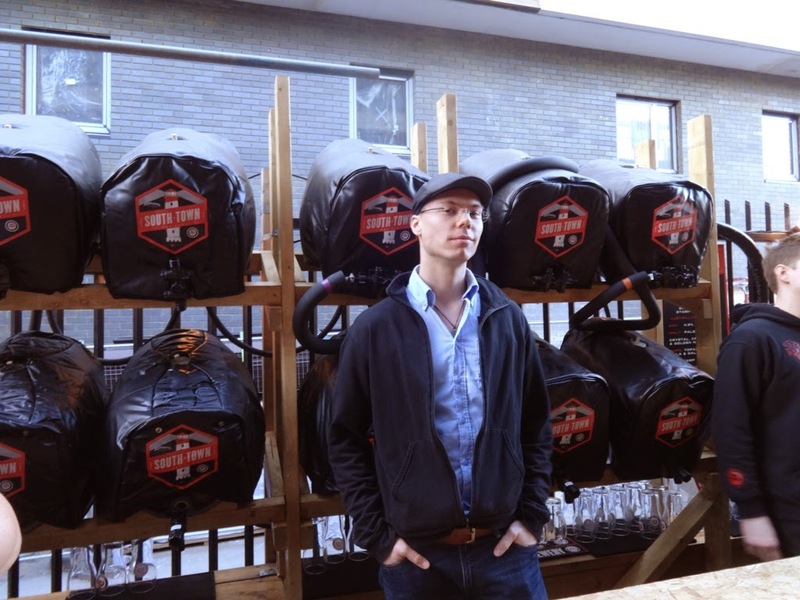 Camden Town Brewery were holding a shindig for it, so we popped down to see what all the fuss was about. It’s right next to Kentish Town West station, perfect for stumbling back home after an afternoon on the beers. The outdoor cask bar was ready for us when we got there and the staff seemed almost too eager to pose (this man is wasted at CTB, wasted). But let’s get to the ale itself. Look at that rich, red, burnt caramel colour- stunning! The head was thin and white, but long lasting. At first sniff the aroma of sweet, tropical fruits really came through and I was reminded slightly of Meantime’s Yakima Red. That fruitiness followed through in the tasting, but there was also a nutty depth to it, a sort of roasted chestnut flavour, which ended in flat bitterness. With no carbonation at all this is best served slightly warmer, preferably while wearing a flat cap. This is great. 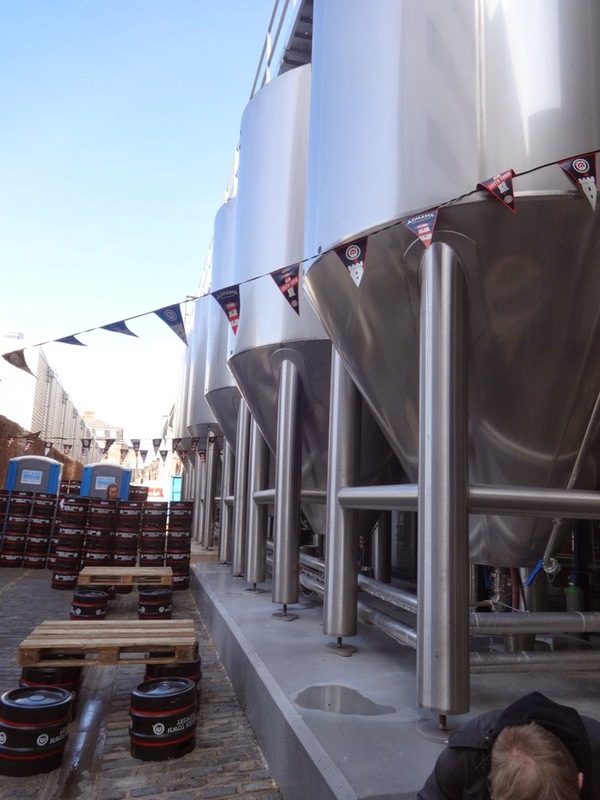 It’s not the first time Adnams have collaborated with a craft brewery (they currently have another out with Six Point Brewery) and I hope it isn’t the last. Other big brewers could learn a thing or two from Adnams in terms of their drinks and their branding. I can’t wait to see what they do next.